Just keep swimming with the Officially Licensed Disney Finding Dory Kids Ankle Socks! This no show sock set comes with 3 different pairs of ankle socks in sizes 6-8 featuring your child's favorite characters from Finding Dory. Keep your little one's feet cozy and warm with the Finding Dory Kids Ankle Socks! Officially licensed Disney, these socks are made of polyester so they won't shrink when washed. Designed with children in mind these sock are made out of soft, stretchy material to provide comfort to your child while keeping their feet warm. The socks are sizes 6-8, and are machine washable. These socks are a great gift or stocking stuffer idea for kids! 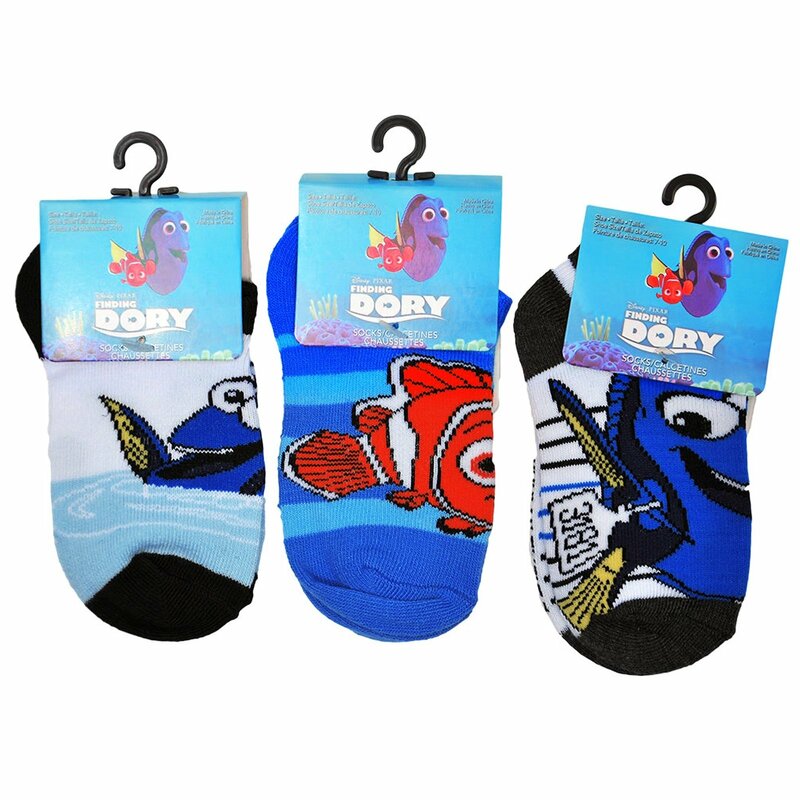 Made with vibrant colors, your little one will be excited to wear these Finding Dory Socks all the time. Disney Doc McStuffins Girls Sparkle Jewelry Glow Pendant Glow Stick Necklace $ 6.99	• 36% off!